We’d love your help. 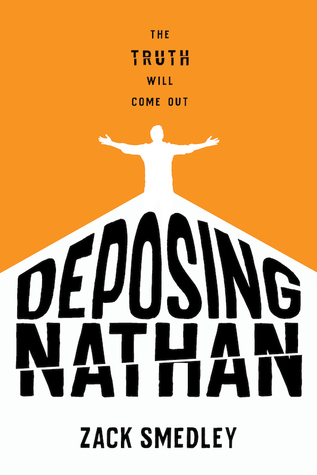 Let us know what’s wrong with this preview of Deposing Nathan by Zack Smedley. Now, Nate is being called to deliver a sworn statement that will get Cam convicted. The problem is, the real story isn’t that easy or convenient—just like Nate and Cam’s friendship. Cam challenged Nate on every level from the day the boys met. He pushed him to break the rules, to dream, and to accept him Nate never imagined that he would be attacked by his best friend, Cam. To ask other readers questions about Deposing Nathan, please sign up. "If you think you have to earn enough points on someone's rubric for them to accept you, then either you're wrong to assume they won't love you for who you are, or they never loved you in the first place." This book reads like a punch in the gut feels so naturally it's 5 out of 5 stars. Deposing Nathan was one of my most anticipated books of 2019. I knew it was going to hurt. I knew it was going to wreck me. I knew it would love it. And I was 100% right. Let me start with saying that I really love "If you think you have to earn enough points on someone's rubric for them to accept you, then either you're wrong to assume they won't love you for who you are, or they never loved you in the first place." Nathan lives with his dad and his aunt, who moved in after his mother died when Nathan was 7 years old. He has an amazing girlfriend, he believes in God, he likes to paint and draw but doubts that his parents will let him take an art-degree. When Cam, the new boy in school approaches him on their first day after the summer break, they become instant friends. Cameron challenges Nathan's beliefs and turns his world upside down, to the strong dismay of his aunt. Every time Nathan disobeys her, her rules become stricter, her punishments crueller, and his relationship with Cam slowly breaks under the pressure. It doesn't help that their feelings for each other are more than those of just friends. One thing leads to another and one day Nathan wakes up on the lawn in front of his house, with a deep cut in his stomach and blood pooling around him. But the truth of what happened might hurt much more. And it will have to come out. This is not an easy book. I won't coddle you, it won't hold back, it will show you just how messy life can be sometimes. But that is exactly why you should read it. On the one hand, it talks about the importance of truth and trust in all sorts of relationships - friends, lovers, family. On the other hand - spoilers ahead - it deals with the harsh reality of domestic abuse. There is a difference between strict parents and parents that enjoy punishing their children. Nathan's aunt definitely loves to see Nathan suffer. The smallest sidestep and she turns into a vicious beast. Seeing Nathan being humiliated by her hurt a lot, but it also made my blood boil in a way that few fictional characters ever did. She is basically a muggle version of Dolores Umbridge. Just when I thought that this book could not get any better, it surprised me once again. So many YA books - romance, dystopian, fantasy - depict unhealthy and toxic relationships. I'm used to two characters getting a happily ever after even though they're clearly not supposed to be together. (view spoiler)[ I thought that it would be the same for Cam and Nathan. Yes they love each other, yes they went through a lot together, but that does not automatically mean that they are destined to be a couple. So when Cam explained that he couldn't be with Nathan because their relationship was messy and toxic - yes, he actually used the word toxic - I was stunned. (hide spoiler)] I had not seen that coming. Fifty pages earlier I had thought the exact same thing. And it was then that I knew that this book would receive no less than 5 stars. Young adult literature manages to surprise me again and again. Books like this one are brave because they're not afraid to test the limits of what YA can do. They remind me why I love YA. Because it can move mountains. Because it lends a voice to matters that have mostly gone unheard. Because it gives strength to those in need. Because it doesn't underestimate teenagers. I could go on but all that's left to say is one thing: read Deposing Nathan. Thank you to Page Street Publishing for providing me with a review copy! This book REALLY took me by surprise. Though simply written with the occasional trope, this story was beautifully done. It explores a lot of moral complexities that YA contemporaries in general tend to shy away from, as both Nate and Cameron are very aware of their own flaws and how it affects them. As a result, Nate and Cameron’s relationship was one of the most refreshing dynamics between two characters I’ve read about in a contemporary for some time. It balanced being both tense and unpredict This book REALLY took me by surprise. Though simply written with the occasional trope, this story was beautifully done. 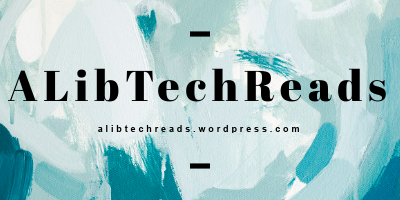 It explores a lot of moral complexities that YA contemporaries in general tend to shy away from, as both Nate and Cameron are very aware of their own flaws and how it affects them. As a result, Nate and Cameron’s relationship was one of the most refreshing dynamics between two characters I’ve read about in a contemporary for some time. It balanced being both tense and unpredictable whilst also being beautiful and insightful and I was crying my way through the last 30 pages!!! So yeah, LOVED this one, it was such a brilliant debut, and I CANNOT wait for it to be released so EVERYONE can read it!!!!! The socially- and self-conscious dialogue is a little too on point and well delivered for high schoolers at times, but Deposing Nathan covers a lot of important ground and, for the most part, covers it well. Full review TK. 1) Think THE DANGEROUS ART OF BLENDING IN meets BEEN HERE ALL ALONG, with shades of THE WICKER KING. 2) This is one of the few m/m (or f/f, tbh) books I've read that's very explicitly careful with bisexuality, not disavowing past relationships, checking stereotypes, etc. 3) I cried, repeatedly. And I didn't expect the ultimate ending but I did appreciate it. im an emotional wreck rn. does it count as crying if no one sees? Disclaimer: I received this ARC courtesy of Page Street Kids through NetGalley. I am grateful for the opportunity to review an ARC for my readers, but this will not influence my final rating. All opinions expressed in this review are my own and based solely on the book. Nate’s always been a good kid. But when he becomes friends with the new guy at school, Cam, his family notices a change. Cam’s the kind of guy who forces him to think about life, the universe, and his dreams … and, yeah, sometimes they break the rules. Soon their two worlds twist around each other and, as Nate explores his feelings for Cam, everything implodes in a fistfight that ends up with Nate stabbed and Cam in jail. Now Nate’s forced to give a statement under oath. But to tell the truth ab Nate’s always been a good kid. But when he becomes friends with the new guy at school, Cam, his family notices a change. Cam’s the kind of guy who forces him to think about life, the universe, and his dreams … and, yeah, sometimes they break the rules. Soon their two worlds twist around each other and, as Nate explores his feelings for Cam, everything implodes in a fistfight that ends up with Nate stabbed and Cam in jail. Now Nate’s forced to give a statement under oath. But to tell the truth about everything that happened? Well, that’s complicated. Never before has a debut caused so much emotional whiplash. However much praise Zack Smedley is currently getting for this book is not enough. Deposing Nathan is nothing short of a complete triumph. Period. Full Stop. And yes, that might sound like raving praise, but so rarely does a novel come along, particularly a debut, that provides such a complicated and satisfying reading experience as this one does. Smedley achieves this by using a unique framing device. The opening showcases how everything brutally ends: Nate and Cam fighting. However, Smedley quickly pulls back and reveals that this action has already happened. Nate’s actually speaking at a deposition, reliving the past several months under the gaze of the very cast of characters that caused so much tumult: his father, his aunt Lori, and, of course, Cam himself. It’s awkward and uncomfortable as Nate recounts how a simple friendship blossomed into something violent, and Smedley draws as much tension from these scenes as possible. Genuisely, this setting also gives heft to Nate’s story. While some of his actions might make him seem like an unreliable narrator, the fact that he’s at a deposition suggests that the reader is hearing the whole truth. With that, it’s the characters themselves that make everything click. They’re unapologtically messy, caught in the weird period of transition that is high school. Nate struggles with himself, his faith, and his family all without examining his legitimate problems. Cam, cocky but vulnerable, confuses him with his constant questioning and unique worldview. Their relationship and interactions are entirely believable in a way that isn’t always happy or pleasant, but it’s always real. It helps that Smedley has an amazingly readable style. Short chapters packed with action and snappy banter, this book flies by. And yet it’s anything but breezy. Rather, it’s like a roller coaster without a visible ending. It loops and turns, careening dangerously until it suddenly stops. And upon exit, there’s a moment of sadness that it’s over, but pure contentment that it happened at all. This is the book to read this year. I was expecting to love this, so it's no surprise that I did, but I'm glad that I did. I loved that the characters were messy, so so damn messy to the end. I feel like authors tend to want to wrap all of their characters in a pretty little bow at the end of novels, but that's just not realistic, and I loved that these characters were still not the best people in the end. I'm not bisexual so I can't fully say if the representation is done well, but there were no glaring problems and I liked how it dealt with internalized biphobia! Overall, this is an incredibly sad book but one of the most honest portrayals of queer teens that I've seen in awhile. This is perfect for fans of Aristotle and Dante Discover the Secrets of the Universe, but with a bit of a mysterious twist. A more detailed review to come, but Zack Smedley has joined Adam Silvera in the category of "Queer YA authors who get me sobbing hysterically in a fetal position." Deposing Nathan is a beautifully complex, astoundingly organic look at religion and sexuality and learning to live with both, and the effects of parental abuse on the development of teens. A tough read. But a must-read. Note:Special thanks to Abrams for providing a copy for review. I began Deposing Nathan immediately right after finishing another LGBTQ+ novel that is very beloved by the YA community. Turns out I am not a fan of that book (I'm not going to mention the title in case I get an angry mob carrying pitchforks and torches at my window). Deposing Nathan, however, is the exact opposite of that mediocre piece of work I managed to churn through, and reading Smedley's writing was like I finally took in a breath of fresh air. This novel deals with the topics of sexuality, religion, and friendship beautifully. Smedley incorporates so much care into creating bisexual characters who really come alive from the pages. I have not come across a YA Contemporary that deals with bisexuality with such sensitivity. Despite Nate and Cam having to trudge through their newfound sexuality, quite messily and crudely (there are homophobic slurs that are used intentionally by Smedley to demonstrate how difficult it can be for teens to come to terms with their own sexual orientation), at the heart of Deposing Nathan is a wonderfully courageous contemporary novel. I loved the chaos, the confusion, and even the relationships between all the characters. However, be warned, there are scenes of child abuse and as mentioned before, homophobic slurs and gay bashing. Smedley interweaves a bit of Catholic faith and ignosticism without shoving religion down readers throats. I'll admit that I was a bit wary that the rest of the book would be packed full of religious aspects but was deeply relieved that it took a back seat to the story, and it only came up during pivotal moments. The narration jumps between timelines through Nate's deposition after he gets stabbed by his best friend, Cam. At no point in the novel was I ever confused or forced to re-read anything to grasp what was happening. There is a clear distinction of where the author was taking his readers through Nate's deposition. The scenes where everyone is gathered before Mrs. Lawson, the prosecutor, allow readers to reflect on what happened and what was to come, and these scenes worked effectively to tell a story within a story. There are several words I could use to describe Nate and Cam's relationship: messy, bittersweet, and toxic. They are so complex and clearly not right for each other, and yet Smedley somehow made me root for them despite that. I do not condone abusive relationships of any sort, but readers will root for Cam to somehow steer Nate in the right direction and ultimately come to terms with himself. With everything that they go through, the ending is satisfying and made sense even if it is not the ending I had hoped for. Another thing that the author did a splendid job at is creating an abhorrent character with Aunt Lori. Her proclivity for creative punishments for Nate is both horrifying and interesting in the sense that you don't see this coming. She is written as a motherly figure at the start of the novel before her true character is revealed the further you read. The way little things would set her off and how controlling of Nate she was is truly disturbing to read about. Her character made me squirm in my seat and bade me to read faster just so I could get through these scenes quickly. It only took about five pages for me to be hooked on this novel. The introduction of both characters instantly made me curious about them; and that increased steadily. There's been a beating. There's been a stabbing. Nate and Cam have ended up across from each other in a deposition because of the violence that has erupted in their lives. Through the course of his deposition, Nate slowly unravels the events leading up to the violence. Nate and Cam seem very different, but they connected quickly wh It only took about five pages for me to be hooked on this novel. The introduction of both characters instantly made me curious about them; and that increased steadily. Nate and Cam seem very different, but they connected quickly when they first met. Their friendship begins with a night of talking about everything: religion, families, relationships and science. They fall asleep lying on the trampoline staring up the stars and it seems like Nate feels free and unfettered for the first time in his life. This isn't an ordinary book, it's not an ordinary tale. Nate is struggling with his "parents"… his father and his Aunt who swooped in when his Mom died. She's controlling, relentless and abusive and his father is absent at best. So, Nate's friendships are important, perhaps the only thing that keep him tethered. But he's not struggling solely with his home life, he's struggling with his feelings for Cam. During an ill-fated New Year's Eve party, Nate and Cam share a sexual experience that short-circuits Nate's brain. He pushes Cam away because he's incapable of dealing with the emotion the encounter brings up. Nate has all the arguments for why it's wrong to feel anything for Cam…religion, he's straight, it's wrong, it's nothing. Things begin to fall apart for Nate and then escalate, spiralling closer and closer to the final act of violence that will change everything between them forever. This story is a pretzel-twist of pleasure, exploration and fear of things that are too big to comprehend. This is one of the most unique books I've read in a very long time. These characters are written so remarkably that I couldn't help feeling like I knew them… as though I'd been allowed a window to their minds. The prose is sparing and yet beautiful. There are some lovely moments captured from the early days of friendship and the intensity of growing emotion. This story made me angry, and it made me cry and I would read it again in a heartbeat. There are twists, things that hurt because you just don't see them coming. And it's real… it's very real. This is young people being amazing and flawed and fucked up and perfect. This book may not be for the faint of heart, but it should be read. This book should have the hell read out of it. I can't think of a better word to use but to continue to say how "real" this story is. dramatic, so interesting. and caleb roehrig liked it, so that's something. This book is so amazing and so special. I have tears in my eyes writing this that’s hOw good it was and need another 100 pages to know the boys are ok! When I received this book, I was uncertain of how much I was going to like it. I've read many contemporary novels that tried to be inclusive and offer representation, but I always felt like their characters fell flat and didn't feel like real people. And then this book fell right into my lap. The author's style of writing just flowed, the first person narrative isn't normally my thing, especially since I feel more authors write teenagers in the first person narrative very irritating and self-centered, and even though our narrator through this book, Nate, is very, very flawed, I would never call him irritating, quite the opposite to be honest. The characters were TOP NOTCH, even the ones I highly dislike (I'm looking at Aunt Lori). I do wish I had gotten more character development from Nate's Dad, I felt we could have learned so much about him and we weren't really given a chance since Aunt Lori really overtook the spotlight with her... Personality, as I'm going to call it. I would have also liked it if I had learned just a little more about Nate's mom, but I do think we were given a good amount of information, but I'm always a fan of more. I also wanted to make a note, because I was reading some reviews and a couple of reviewers made notations that they saw Cam and Nate's relationship as toxic, and though I can agree to some degree, I really wanted to put in my two cents, so spoilers ahead. As a whole, I don't think the two, by themselves, are toxic. The only reason it was toxic was because of Nate's religion and his own views on how all that worked and his Aunt's punishments making Nate place the anger on Cam instead of the person he should have been mad at, Aunt Lori. Aunt Lori was the toxic human here, and her toxicity bled into how Nate saw the world because he'd never known anything but what he's grown up with, he didn't see the abuse because when you're right in the middle of it, its very rare you actually see it until its far too late. That's why they seemed so toxic, but if Nate had the support and love, as opposed to psycho Aunt, everything would have been perfectly fine. So that's my take on that situation. Also, I need to take a moment to just quickly put in how much I despise Aunt Lori, and good on Mr. Smedley for writing one of the best villains I have ever read. My god, this woman is vile. All in all, this book was amazing, an emotional roller coaster I would evilly recommend to anyone who enjoyed contemporary reads, and LGBTQ+ representation that's done well. 5/5 stars out of this gal. Thank you netgalley for my review copy of this book. Cameron is the new kid in school. He approaches Nate and asks him to be friends. From the start the 2 are inseparable. At a party on New Years Eve their friendship takes a turn into a new territory that Nate just isn’t ready to accept even though he shares Cameron’s feelings. And to complicate matters further there is Nate’s girlfriend to consider. How can he have these feelings if he is in love with her? Between Nate not being able to accept Thank you netgalley for my review copy of this book. Cameron is the new kid in school. He approaches Nate and asks him to be friends. From the start the 2 are inseparable. At a party on New Years Eve their friendship takes a turn into a new territory that Nate just isn’t ready to accept even though he shares Cameron’s feelings. And to complicate matters further there is Nate’s girlfriend to consider. How can he have these feelings if he is in love with her? Between Nate not being able to accept his feelings and his aunt being a controlling lunatic, Nate and Cam’s relationship quickly becomes toxic. Now Nate is being deposed for a fight between the 2 boys that led to Nate being stabbed in the stomach. Everyone wants Nate to tell the story that will send Cameron to prison. But the story isn’t as simple or straightforward as it seems. Now Nate has to decide whether to own up to the events that led up to that night or let his best friend go to prison for something he may not be responsible for. How do you make a choice between your best friend that you love and your family who has always been there for you? Disclaimer: I received an eARC through Netgalley in exchange for an honest review. Deposing Nathan begins in conference room of a state’s attorney office. Nate had been involved in a fist-fight that led to his former best friend Cam stabbing him in the gut with a shard of ceramic. Just how they got to that point is the question. While the book takes place over the course of just a few days, the back story takes up the course of nearly a year. The design of this book is unique; it goes back and for Disclaimer: I received an eARC through Netgalley in exchange for an honest review. Just how they got to that point is the question. While the book takes place over the course of just a few days, the back story takes up the course of nearly a year. The design of this book is unique; it goes back and forth between remembering that we are hearing Nate tell this story inside of the state’s attorney office and figuring out what exactly happened between him and Cam. Nate and Cam met on the first day of Nate’s junior year (and Cam’s sophomore year) of high school. Cam is new to town, and Nate’s in an AP Bio class without any friends. Cam immediately befriends Nate, and the two begin a very complicated friendship. We also learn a bit more about Nate’s home life. His mom died when he was around 7, and he is being raised by his dad who is gone frequently and his aunt (his mom’s sister) who seems to be a bit emotionally abusive. Cam’s home life is also complicated; his younger sister died when she was around 5, and his family is still dealing with that. As time passes, Nate and Cam begin to change each other, but is all that change actually good? Besides straight up amazing story-telling and excellence use of a non-linear plot device (think Sadie by Courtney Summers, with the podcast replaced for a conference room in the state’s attorney’s office), I love its nuanced discussion on sexuality especially with the Church. Both Cam and Nate go to a Catholic school, but Nate is more of devout follower. As time goes on, Cam realizes that his sexuality isn’t as straight forward as he thought it was, and Nate begins to deal with with similar things. While there have been a few other novels (think Dress Codes for Small Towns by Courtney Stevens and Georgia Peaches and Other Forbidden Fruits by Jaye Robin Brown) dealing with the issues of sexuality and Christian beliefs in YA, this is something that’s not commonly explored in YA, and this is the first time that I saw the internal conflict between someone who so desperately believed in his faith and what the Church teaches versus what he feels. It’s something I am glad to see in YA because it’s needed. My Review: My biggest issue with this one was the number of curse words that it has. I think that could have been toned down a bunch and it was truly unneeded. I will say that I liked the characters enough and the story was good. But the cursing could have been taking down a lot. The story itself flowed well and this book made me cry many times. This book covers sexuality, religion, and friendship in a way that makes it flourish. The timeline jumps were done very well as well and I was never won My Review: My biggest issue with this one was the number of curse words that it has. I think that could have been toned down a bunch and it was truly unneeded. I will say that I liked the characters enough and the story was good. But the cursing could have been taking down a lot. The story itself flowed well and this book made me cry many times. The timeline jumps were done very well as well and I was never wondering what was going on. Thanks to @netgalley and @pagestreetpublishing for the advanced Kindle copy of Deposing Nathan by Zack Smedley. This book is available on May 7th. This was a brutal and honest portrayal of two teens questioning their sexuality. Religious dogma and child abuse play a major role in how this friendship devolves into toxicity. This quick-paced read was the literary version of a train wreck for me—I didn’t love the characters, but I also couldn’t put it down. I think that many teens will be able to c Thanks to @netgalley and @pagestreetpublishing for the advanced Kindle copy of Deposing Nathan by Zack Smedley. This book is available on May 7th.